It's only natural, then, that there have been numerous books of photography published about the band - and even several photography books published by one band member himself. While some of these Police photography books are currently out of print, they are worth hunting down if you are a serious fan of the band and want a complete collection. On this page, I'm only focusing on books that are strictly or primarily photography collections, not other titles which combine photographs with text and facts about the band (that may be the subject of a separate page here eventually.) I'm also concentrating on UK and US-published books, as others can be difficult to get full information about or locate. I'll include my personal opinions on these titles as well, so the causal Police fan can hopefully decide how to prioritize which books they most need or want for their collection. I'll start with some of the most popular and well-known titles and then include some older, lesser-known volumes which you can still sometimes find used for sale, on Amazon and eBay. 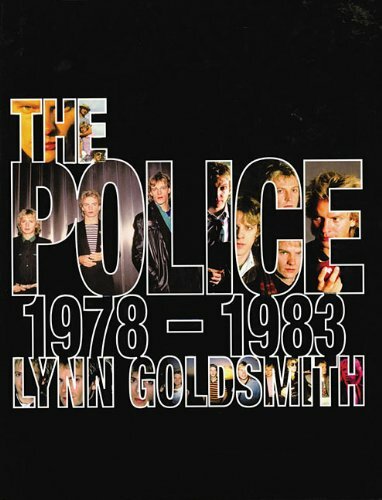 Photographer Lynn Goldsmith had a close relationship with The Police from their early years up through their smash success album Synchronicity. She took many of the most memorable photographs of the band we know today, some of which graced the covers of magazines such as Rolling Stone. In 1983, she published this collection of black and white images of the band which captures them in concert, on the road, and in their own homes for one-on-one intimate views. This collection does have some great photographs, but it is not my favorite Police photographic collection by far. I remember finding it a bit "pretentious" even when I first got a copy back in the 80s, with its literary quotes tagged to the photos (instead of words from or about the band themselves). Some series of photos seem to go on for pages without really revealing anything new or interesting that couldn't have just been captured in one good shot. However, given how inexpensively this collection can be had on eBay these days, it's worth seeking out for any Police fan with a few dollars to spare! For those curious about what happens "behind the scenes", check out this great video showing Lynn Goldsmith at work photographing Sting in Central Park in New York City. Some of these shots can be seen in her first Police photography book listed above. 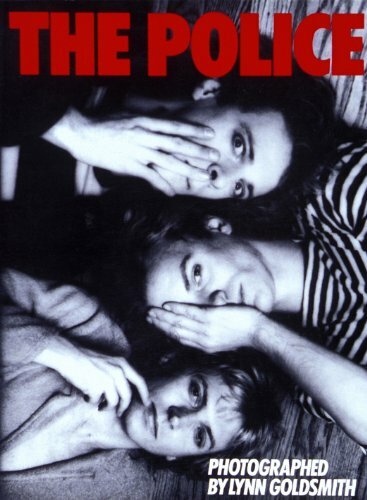 "The Police: 1978 - 1983"
Short quotes are provided by Sting, Stewart and Andy throughout the book to provide context to some of the images within, and there is also an introduction provided by music journalist Phil Sutcliffe - a long time friend of the band who was actually a key player in the first meeting between Copeland and Sting. I prefer this second book of photographs of The Police by Goldsmith for various reasons. First I think it gives a more cohesive view of the band as a whole, whereas the first book seemed more concentrated on each band member individually. It also feels less forcibly "artistic" and relaxed - and yes, some of the photographs of the guys are quite "drool-worthy" which this fan definitely appreciates. Andy's 1983 photography book provides a unique look at life on the road with the band. The monotonous hotel rooms, the strange sites of Americana, the girls all too willing to spend the night with a famous rock star - and yes, a few shots of his fellow bandmates as well. Currently long out of print, you can still often find copies of this book used for sale on Amazon. 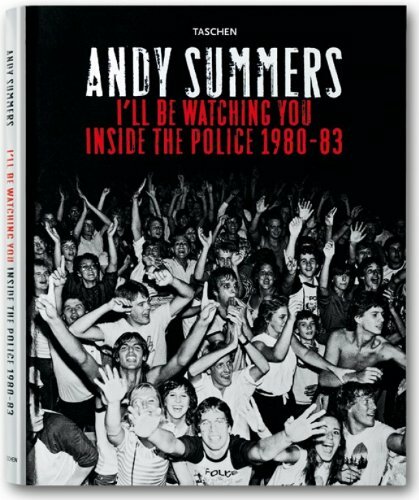 "I'll Be Watching You: Inside the Police, 1980-83"
This massive 2007 volume by Police guitarist Andy Summers is easily considered a "must have" by most fans of the band - and Andy's work as a photographer. 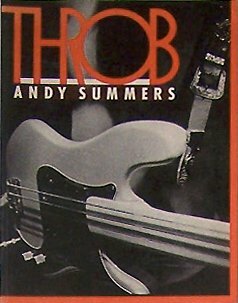 Different from his earlier book, "Throb", this one features many more photographs of The Police at work, at play, and at rest. There are extensive personal notes from Andy throughout, adding to the mood and atmosphere of the work as a whole. The book was released in two formats: one, a high-priced, limited edition art book which is likely for collectors only, and a lower-priced mass market version. I have the limited edition version (of course) and find it well worth the money as an appreciator of fine photography and a collector. The limited edition books are all numbered and signed by Andy personally, and come in a protective case for secure storage. If you're a serious collector looking for the limited edition version of this book, eBay is currently your best option. It is no longer directly available for purchase via Amazon. Andy Summers: "I'll Be Watching You"
This is a very fun and different photography book that really captures the band members in relaxed and casual moments. The photos are all by Danny Quatrochi, who has been Sting's bass tech in the studio and on the road since 1979. Here you'll find great photos of the band recording Zenyatta Mondatta, Ghost in the Machine, and Synchronicity; on the road and touring; there's also a section when Danny went along with Sting while he was filming his appearance in "Dune". There are two different versions of this book published in 1986: one is hardcover and one is softcover. Otherwise the contents are exactly the same. In 1987 a UK edition was published with a slightly different cover. Another fun feature of this book is that the band members provide their own hand-written "commentary" on many of the shots, what was going on at particular moments or what they were thinking about. This book is definitely one all fans should try to track down, if they haven't already. In this 2005 interview, Danny talks about how he came to work with the band - and Sting's favorite bass guitar. Didi Zill is a photographer who worked for the German teen magazine Bravo. 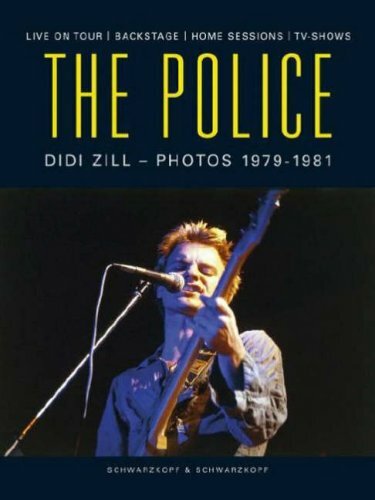 He photographed The Police various times in the years 1979-1981 and many of those photos are included in this attractive, hardcover volume published in 2004. Didi Zill's work is colorful and bright, with some very nice portrait and candid shots of the band throughout. There are photos taken visiting Sting, Stewart and Andy in their homes, which are some of the more interesting shots showcasing their different personalities and styles quite well. Nicest are the shots taken while the band was on Montserrat recording Ghost in the Machine. Less interesting to me are the live concert shots, which are rather grainy and in my opinion don't fully capture the intensity and energy of the band when performing. There are also some photographs taken at a European awards ceremony. Many of these photos may look familiar to fans who have collected old European music magazines for years, but there are definitely some surprises and good shots to be discovered here. This 1980 volume features a large number of photos from 1979, many of which you won't find in other books. There are both UK and US versions available (different covers). The only text inside are a few quotes from the band members. The Police Chronicles, paperback book. This 1984 volume does contain some text, but the real draw is Philip Kamin's photography from the Synchronicity tour. These are colorful, intense shots many of which you won't find elsewhere. This book was also first published in 1984 (revised in 1986), during the height of the frenzy over the band. Again, there is some text but the primary reason to buy this book is for the ample amount of photographs. This book was actually published in 1981 and is really a collection for younger fans. The little bit of text inside is pretty simple and basic, but it does feature 48 pages full of colorful band photographs. Check The PoliceWiki for an extensive guide! These photography books are just a few of the titles out there about the band. For a much more thorough and complete list, including text-focused volumes, check out the Books Category of The PoliceWiki. There you'll find detailed information on publication dates and contents on over 70 different titles published all around the world. Have fun tracking them down on eBay! The PoliceWiki is a fan-run wiki dedicated to cataloging and recording everything and anything related to The Police, and is an ever-growing and evolving site. Sockii Talking About My Police Collection! Just how many books and magazines do I have featuring the band? During the Police 2007-2008 reunion tour, filmmaker Eugene Ramos interviewed many fans (including myself!) about our love for the band and what it was like seeing them on the road again. You can see a few clips of me in here talking about some of the oddities in my collection (and why I'm such a fan) in the documentary trailer on Vimeo.